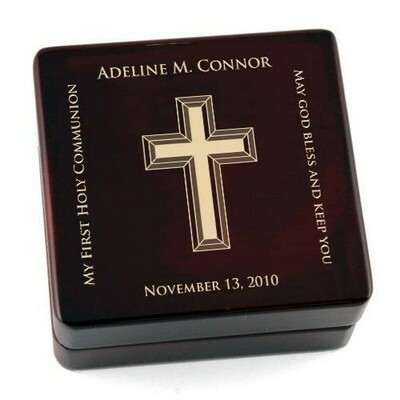 This Holy Cross Christening keepsake box is a fantastic religious gift idea, with personalization options that make it suitable for any Christening. 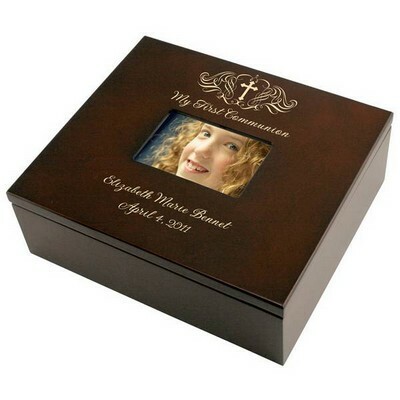 This 9" by 7 7/8" by 3" keepsake box reads "My Christening" at the top and can be customized with laser engraving to include the recipient's name, and a date. 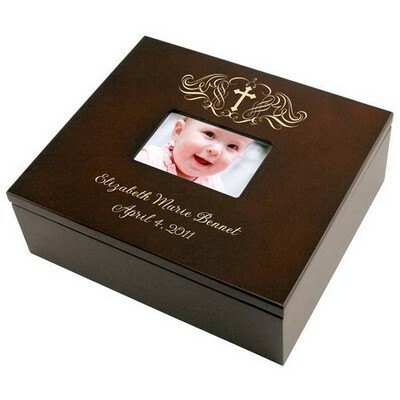 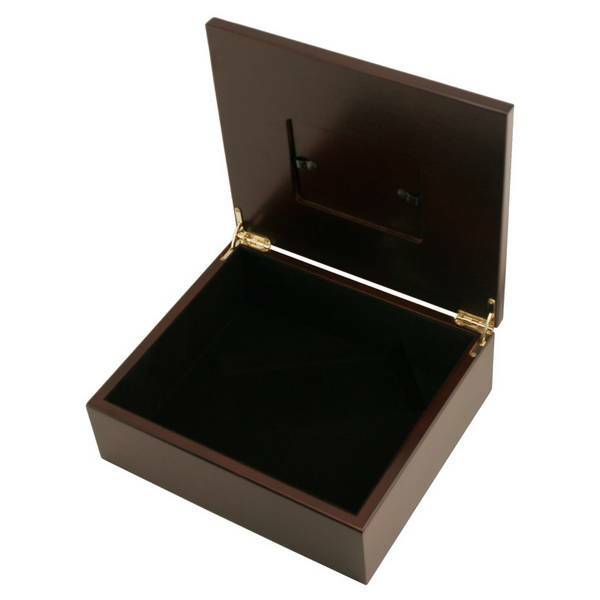 Ideal as a baby Christening gift, this wood box includes a space in the lid for a horizontal 4" x 2 3/4" photograph. 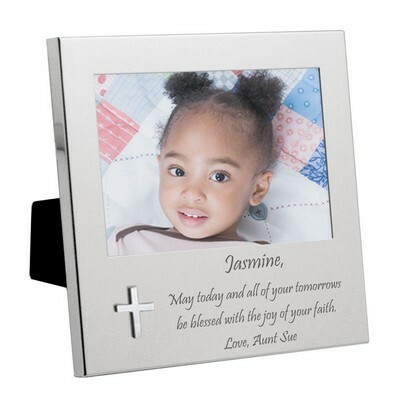 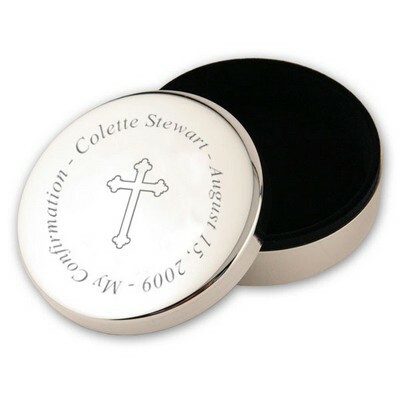 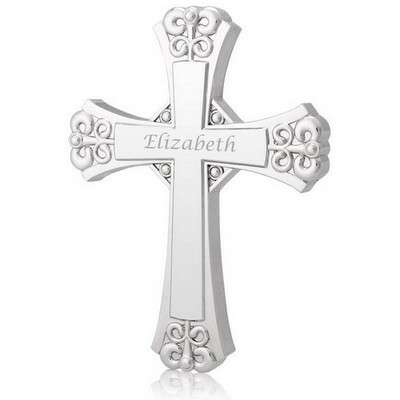 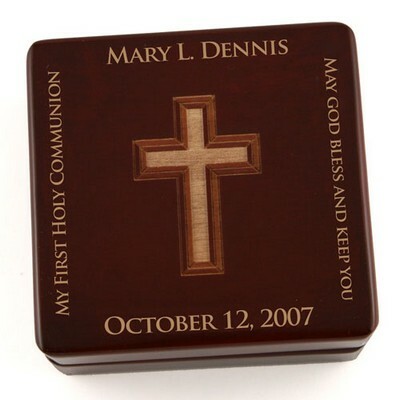 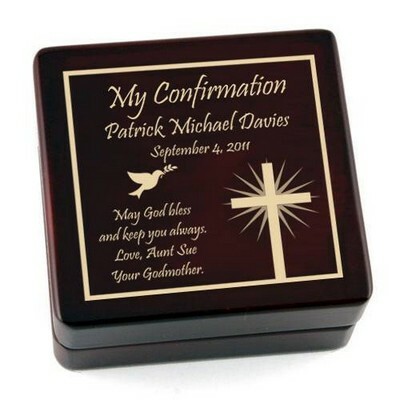 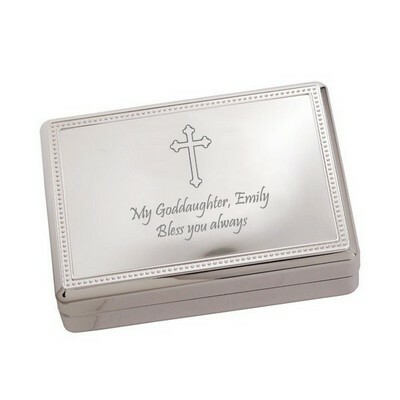 Commemorate a special Christening, with this customized religious gift from Memorable Gifts!